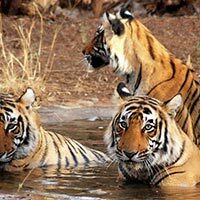 Kanha National Park is located in Madhya Pradesh spread over two districts - Mandla and Balaghat. Kanha was declared a reserve forest in 1879 and notified as a wildlife sanctuary in 1933. Its status was further upgraded to a national park in 1955. 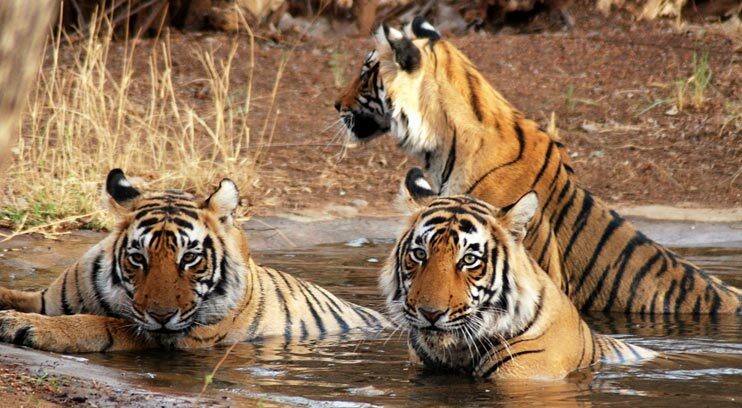 Kanha has spread over into an area of 1940-sqkm and notified as Tiger reserve. Kanha National Park is famous for tiger reserve but along with tigers we can sight the most precious animal of Kanha, the Central Indian Barasingha. This Swamp deer is the last world population of the hard ground subspecies, which has virtually been saved from extinction owing to concerned efforts under Project Tiger. Other Wild animals to spot are the leopard, bison, sambar, spotted Deer (Chital) nilgai, wild boar, sloth bear, Hyena, Jungle Cat, Mongoose and wild dog. Thursday - Board Vidarbha Exp @ 7 pm from Mumbai CST for Gondia. Arrive at Gondia at 11 a.m. After lunch proceed to Kanha & evening Jungle Safari. Morning Jungle Safari, Elephant ride. After lunch evening Jungle Safari and Museum. Morning Jungle Safari and departure for Gondia, lunch, board train for Mumbai. Arrival –Monday morning 7.00 am at Mumbai C.S.T.